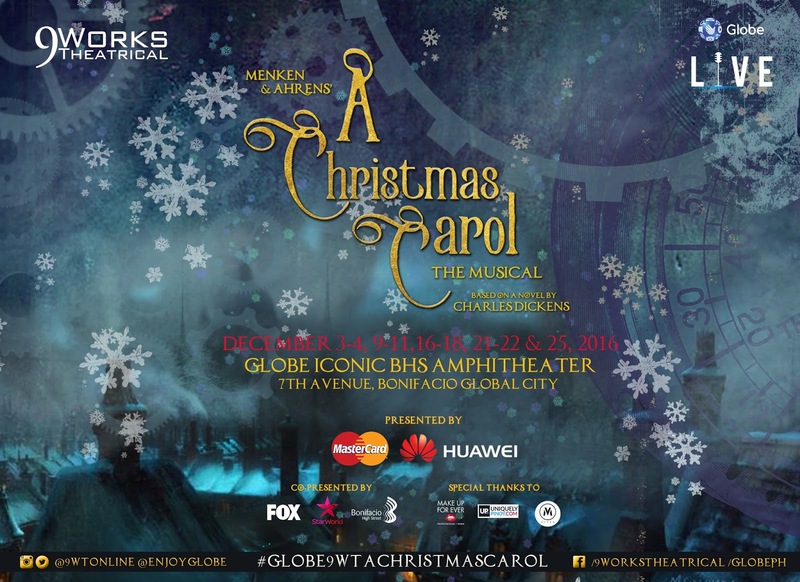 Menken & Ahrens’ A Christmas Carol takes center stage at the Globe ICONIC Store this December - Hello! Welcome to my blog! 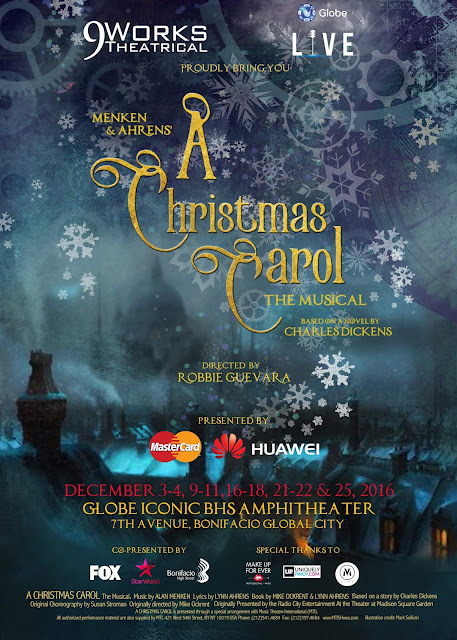 Following the success of the acclaimed Globe LIVE and 9 Works Theatrical production debut, Green Day’s American Idiot, comes another exciting production to complete the Christmas season - Menken & Ahrens’ A Christmas Carol. The world famous Christmas-themed play based on the book by Charles Dickens will revolve around the life of Ebenezer Scrooge and his ghostly encounters - brought to life by the music of world-famous musical composer Alan Menken. 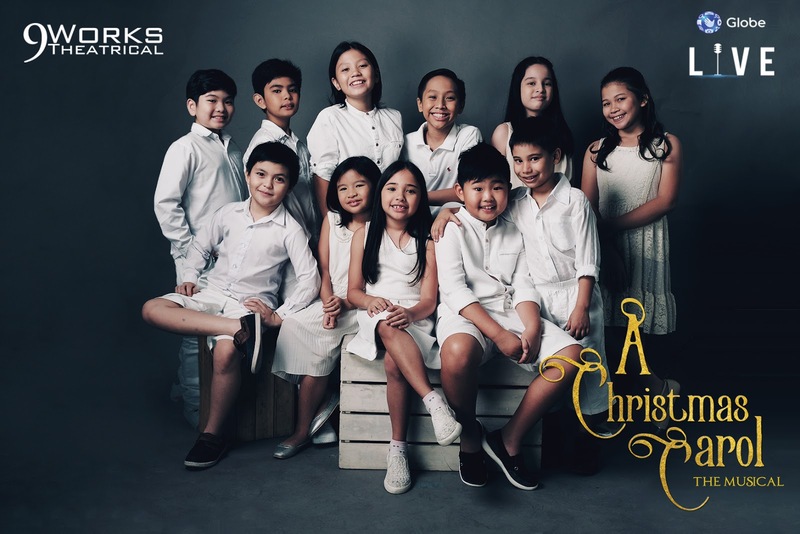 “The value and lessons the show brings is perfect for the family and this will surely be a must-see show for the holiday season. The story of A Christmas Carol has spanned generations but remains relevant even to this day with the life lessons it carries. 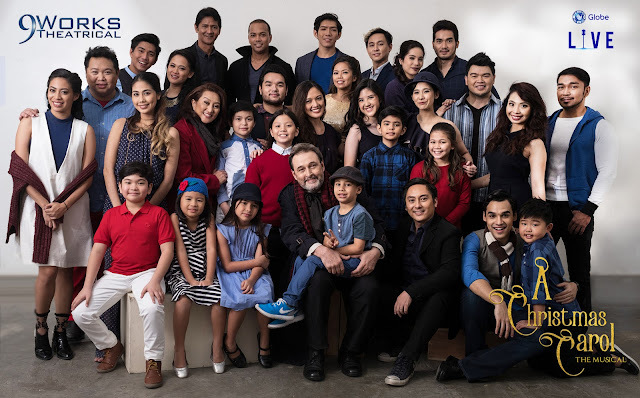 The whole team is thrilled to put together this production and we all look forward to the wonder this will bring to every Filipino family,” says Globe Stores and Retail Transformation Head, Joe Caliro. A Christmas Carol will show the values of love for the family and friends through the lead character Ebenezer Scrooge, a prosperous but bad-tempered person who prioritizes wealth over happiness of others. Due to his selfish attitude, three ghosts visit him on Christmas Eve that will bring him through his Past, Present and Future. Thanks to their guidance, Scrooge recognizes his faults and greets Christmas morning with a cheerful "Happy Christmas" before spending the day reconnecting and sharing love with those that mean the most to him. More than 30 well-known and emerging talents in the theater industry of the Philippines will bring A Christmas Carol’s Philippine rendition to life starting on December 1, 2016, 6:00 P.M. at the Globe ICONIC Entertainment Zone, BGC Amphitheater, Taguig. Globe LIVE is the original events production arm of Globe established to spearhead the company’s live events held at its innovative Globe ICONIC Entertainment Zone. With its outdoor format, Globe LIVE aims to bring free, world-class quality entertainment to Filipinos. The production will have a full cast of amazing actors and actresses which will be announced soon. For more details and latest updates follow Globe on its official social media accounts on Facebook, Twitter, and Instagram.